Called the Gamekeeper Night Dog, the Bullmastiff is gentle, quiet and devoted to those he loves, but if threatened, he turns fearless. At upwards of 130 pounds or more, this powerful dog is confident, stubborn yet calm and gentle. But don’t confuse this mellow adult demeanor for the antics of a puppy. Puppies can be rowdy but will calm down as they mature, but if you’re waiting for that great adult temperament, be advised that they may not become fully mature until after their second birthday. Expect a puppy to be messy and clumsy with a personality that could dominate you if you allow they to do so. Bullmastiffs are intensely loyal and do not like being left alone for extended periods of time. Their stubborn temperament may cause issues especially when their agenda does not always mesh with yours. They are great at testing the authority of family members so a strong, assertive owner who will provide excellent training and socialization is a must. These dogs can sense if you are weak, timid, or likely to back down, but this does not mean that training methods should be harsh. They respond well to positive reward based training and do well with a structured, consistent approach. They generally do well with children but their size and strength may be too much for small children. It is best to supervise interactions with very young children. Although tolerant of children, they are not excessively playful and children need to be taught how to respect the dog’s need for rest. Toddlers are easily knocked over or pushed accidentally so take that into consideration when choosing a giant sized breed for a growing family. They do well with other pets, but may become aggressive with other male dogs especially strange dogs. If two dogs are eventually on your radar, a male, and a female dog would do well together assuming they will be altered. These dogs need daily exercise in the form of long walks but a romp in the yard is always a fun time for these dogs. Their exercise needs are moderate considering their size, but daily exercise will help maintain their muscle tone and keep them healthy. Since they are a relatively low energy dog, they do very well in apartments as long as they get a couple of daily walks. They are adaptable and do equally well in a rural or suburban setting. They do not, however, deal well with extremes of temperature. These are not the type of dogs that can be left outdoors in hot or cold conditions. Air-conditioned areas are recommended during the summer months because they are prone to heat exhaustion or heat stroke. A warm bed is appreciated in the colder months. If these dogs are left alone for too long a period of time, either outdoors or in, their boredom and loneliness will result in destructive behaviors. Please do not let that become a problem for you. Though reserved with strangers, they do have some impressive territorial and guarding instincts. Having been developed since the 19th century to help gamekeepers protect the lands from poachers, they can be taught to attack command. They are not a vicious breed though and would likely subdue an intruder rather than hurting him. Not the easiest dog to train, they do respond to training by their special people. They love their family and want to please. They have a sensitive nature and any harsh punishment is likely to backfire on you. They are intelligent and likely to want to rule the roost if you let them. Assure your dog that every human in the family no matter how small is to be respected. If you are looking for a giant breed dog that does well with children, is calm and requires little in the way of grooming, this might be your breed. They make an excellent companion for an experienced owner who has the time and inclination to train and socialize. Ongoing training is required though, so don’t expect a quick puppy kindergarten class to complete his education. Bullmastiffs are independent thinkers, trained to guard and protect gamekeepers from hostile poachers. They do not bark much, but are stubborn and will question the authority of any owner who seems fragile or timid. 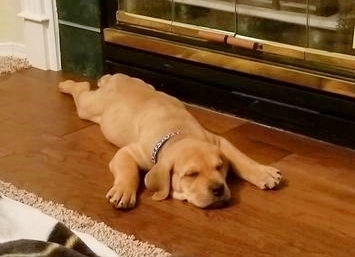 The early and continual socialization that begins the day the puppy comes home is essential in any breed but especially critical in massive breeds used and bred to be guardians. They are quiet and calm but will need extra help when learning new skills. They do respond well to positive training approaches that incorporate food rewards. Formal training is recommended first as puppy classes and then as obedience training for this and similar breeds. This is not the best choice for someone who has never had a dog before. 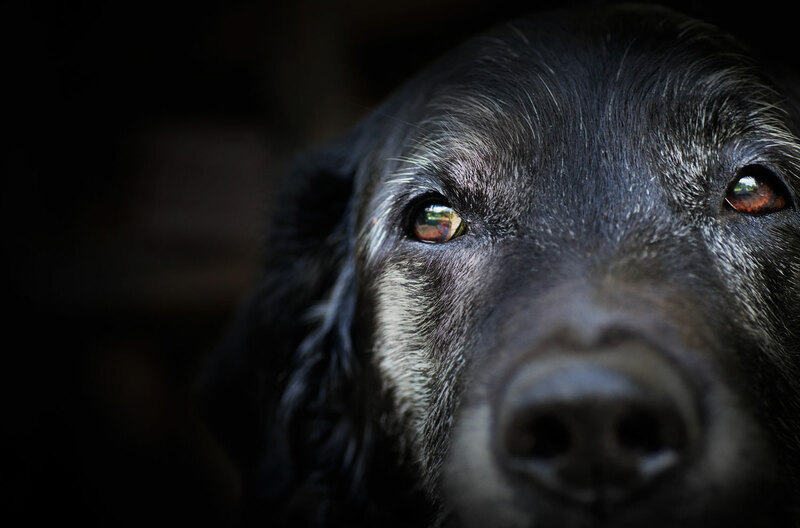 The ideal owner will have had experience owning, caring for, and training dogs and will provide a consistent yet gentle approach that gains the respect of the dog. WE STRONGLY RECOMMEND GETTING A DOG TRAINING COLLAR FOR THIS BREED - AND THE BEST ONE ON THE MARKET IS THE PETRAINER 998 DRB. GET IT HERE! These dogs can provide plenty of protection for you and your family. They were developed to do so in nineteenth century England. They are gentle and calm and totally devoted to their family. But strangers do not receive such a warm welcome. While not vicious, they can provide a substantial deterrent to any would-be intruders. They are also willing to risk their lives to protect those they love. Early training and socialization is a must for these dogs to teach them the difference between what is a good and not so good human being. 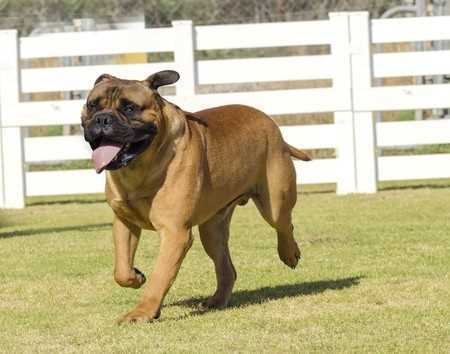 The Bullmastiff has a coat that is short and weather resistant and very easy to manage. They need a good brushing about once a week using a bristle brush, fine-toothed comb or a hound glove. A flea comb can be used to look for fleas and/or ticks. Bathing periodically is also recommended. Beyond that, their nails will need to be clipped to filed down using a grinder and their teeth brushed. Their ears should be checked periodically and cleaned of excess ear wax and debris. This will help infections from developing. These dogs do shed, so the more you brush, the less hair you will find on you, your furniture and your carpets. They are also droolers, so to remain slobber free, it is always a good idea to have a small towel nearby to wipe off the drool. Even though the Mastiff is one of England’s oldest breeds, the Bullmastiff is a relatively recent addition to the dog world. 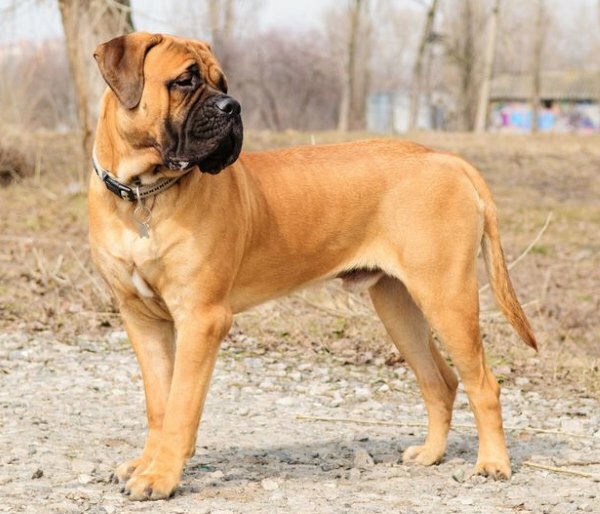 Like all breeds, the Bullmastiff is prone to certain genetic conditions. 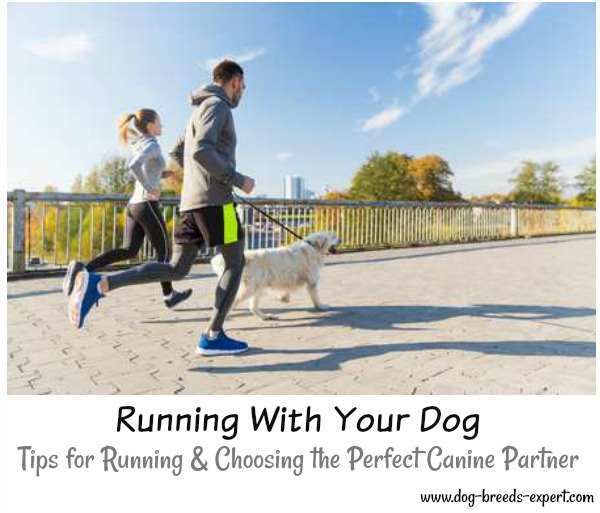 If you are interested in the breed, you will want to know more about these problems, just so you can be on the lookout should your dog show some symptoms. 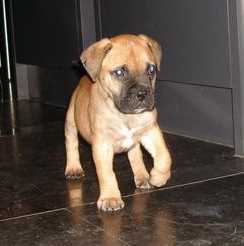 Already Have a Bullmastiff? Breed Bullmastiffs? Have something to say about Bullmastiffs? Please share. Do you have something to say about the Bullmastiff breed? Other visitors will appreciate reading about your experiences.